Do you remember the first band you lived for? Do you remember the first concert you attended? Can you feel that electric anticipation of the lights starting to dim while you wait for the band’s first song? What if you could relive those moments again, this time as a Mom – and with your daughter? This is exactly how my daughter and I both feel about the upcoming movie ONE DIRECTION: THIS IS US in theaters on August 30. My daughter (age 10) and I have loved the band since day one. We’ve had countless dance parties and impromptu karaoke parties. And she’s spent hours with her friends listening to ONE DIRECTION in her room and on her iPod. 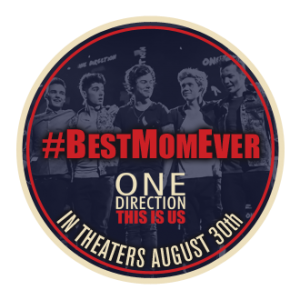 So when I heard about the ONE DIRECTION: THIS IS US movie I started counting down to release day with my daughter and each day our excitement builds. We can’t wait! Without a doubt, this is going to be like attending a ONE DIRECTION concert – the sights, sounds, and energy of being part of the audience has us both jazzed! Why are you so excited about this movie? 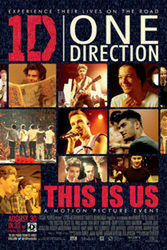 I can’t wait to see the band on the big screen in the theater – it’s going to feel like I’m at a ONE DIRECTION concert. I’m pretending they will be there in person! Why do you and your friends love ONE DIRECTION? The band is SO talented. 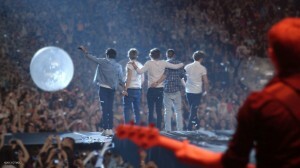 They are really musical – they sing, they dance, and they are very handsome lads (that’s your word Mom! LOL). Without sounding too much like groupies (LOL), we have some favorite links bookmarked already, and we are active together on social media and I’m sure your daughter will love to visit them with you. Having the rare opportunity to experience this movie and to be a fan alongside my daughter is such a gift. 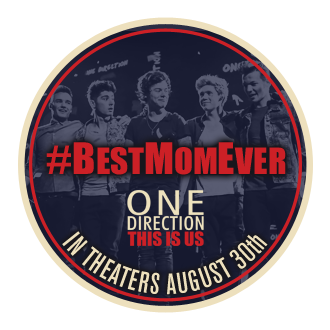 ONE DIRECTION rocks and we know the movie will too! Disclosure: I’m proud to be working with SheKnows to share information about the ONE DIRECTION movie and I hope will share my Sponsored post.